Payroll processing has traditionally been a complex and time-consuming task for employers. It is crucial for employers to ensure accuracy and timely tax filing, or the result is unhappy employees and costly fees for late filing. Three tools can help employers drastically streamline the payroll process and save on processing time as well as supplies. Red Wing Software shares these tips for employers to move to a paperless payroll. Direct deposit allows employers to deposit employee pay directly into their bank account, eliminating the need for printed checks. Using direct deposit saves money by eliminating the cost of purchasing check paper, envelopes, and stamps. Employees also enjoy the benefits of direct deposit, since trips to the bank are no longer needed, and there are no more lost checks. Employers using direct deposit to pay employees can save significant time and money by allowing employees to view their pay information online, from any computer. Employees are given a password where they can log into a secure environment and view pay information, including W-2s, online. Employers save the time and supplies of printing pay advices. An additional benefit is that past employees can also access their pay data from years past, simply by being provided with a password. Employers can save significant time and money by filing payroll taxes electronically. The need to order and pay for forms is eliminated, as well as stuffing envelopes and mailing the forms. Information for the forms is pulled from data already within your payroll system, so there is no need to re-enter it. Electronic tax filing can be a huge time saver, and once used, payroll processors rarely return to their prior method. Red Wing Software, Inc. develops, integrates and supports the accounting and financial management needs of small- to mid-sized businesses, agribusinesses, non-profits, and municipals across North America. 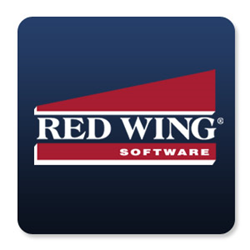 For more information on Red Wing Software products, including CenterPoint Accounting, CenterPoint Accounting for Agriculture, CenterPoint Fund Accounting, CenterPoint Payroll, CenterPoint Depreciation and Red Wing Tax Forms, call 1-800-732-9464 or visit http://www.redwingsoftware.com.